Shenmue 3 will miss E3 this year making it almost certain to miss it's Christmas 2017 release date. Developer Ys Net Kickstarter update for Shenmue 3 the sequel to a pair of Sega Dreamcast classics Shenmue 1 and Shenmue 2. The Kickstarter update also offered a glimpse at an all-new character rendered in-engine plus more news. 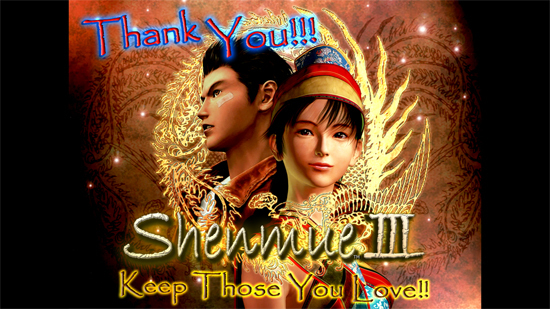 "While our schedule has yet to be finalised, we will be devoting June to game development and as a result, will unfortunately not be participating in any game shows, (No E3 for Shenmue 5)"
Shenmue 3 was first confirmed at E3 2015, when creator Yu Suzuki took to Sony's stage to announce the Kickstarter campaign. Their Kickstarter site still holds to the original date. However the following statement is on the site: "A rigorous budget and schedule has been worked out with our production team and we believe our target of 2017 holiday season is within reach. That said, our goal is to make the best game possible (and one that the fans want!) so please understand the schedule may change as the project evolves. Frequent updates will be posted on the Update page." That particular part of the site hasn't been updated since 2015.